In many countries, land rights and security of tenure constitute the basis for access to food, livelihoods, housing and development for a large percentage of the population. Without access to land, many people find themselves in a situation of great economic insecurity. Access, redistribution and guarantee of land rights are also crucial issues in post-conflict situations where old grievances need to be addressed and the risk of planting new seeds of conflict avoided. However, socially just and inclusive land rights can play a catalytic role in economic growth, development and poverty alleviation. Land is in many cases necessary for the realization of other economic, social and cultural rights. 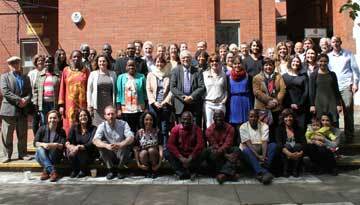 Throughout the last few years, the UN Committee on Economic, Social and Cultural Rights (CESCR) has adopted a number of statements highlighting the need to respect land rights, explicitly referencing them in relation to other areas such as housing, forced evictions, food, water, health and cultural life. 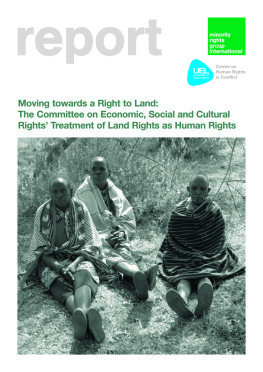 Nevertheless, despite the focus on land rights from CESCR and other UN human rights institutions, there is still no clear and comprehensive statement on the fundamental importance and the content of the right to land. At present, land rights are still viewed as part of the realization of other fundamental rights, such as the right to food or the right to water. It is now time for the right to land to be recognized by governments as a stand-alone human rights issue. To support such an effort, this report provides a synthesis of the already substantial guidance on human rights and land issues elaborated by the CESCR and other UN bodies, focusing on thematic issues such as water, health and housing that have been identified as related to and impacting on land rights, as well as those groups requiring special attentions, such as minorities, indigenous peoples, women, children, IDPs and refugees.